NASA's New Horizons probe dominated the news cycle this week, after making a successful close encounter with Pluto and sending back incredible images and science data. Plus, an astronaut mining company launched a tech-testing satellite; the Philae lander phoned home; scientists may have discovered a Jupiter twin; and there was some significant "Star Wars" fanfare at San Diego Comic Con. Here are Space.com's top stories of the week. 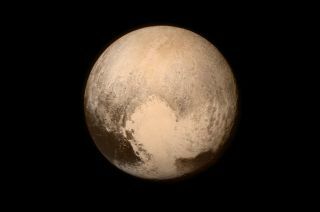 Pluto close encounter a success!